Warehouse Wednesday: Design Team Selected! It is with great pleasure that FranticStamper announces our selections for our new design team for the coming year. We were very excited by their submissions and their applications, and we are really looking forward to working with them in the coming year! Sharon Jeffs is from South Australia and a FranticStamper team member for the past two years. 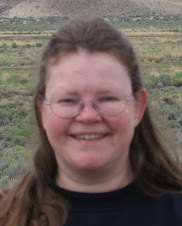 She has shared dozens of wonderful projects with us all during her tenure. We are thrilled that she will stay with the team in a full-time capacity. 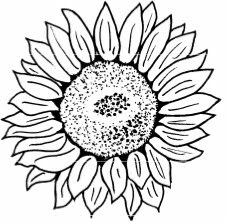 We think you will enjoy her submission for the electronic image portion of the application for which she chose to use the sunflower. 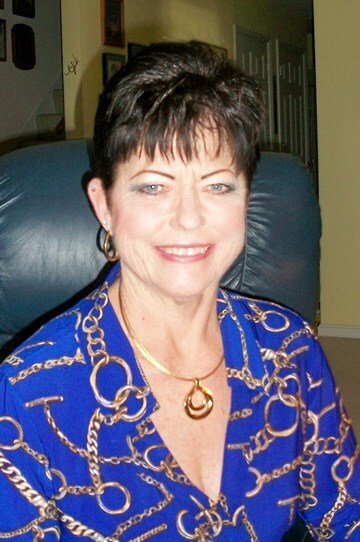 Isabelle Drouin-Vachon joins the team from her home in Quebec, Canada. Isabelle was the winner of our Easter Egg contest this past year, and has been active in posting comments to our blog all year. 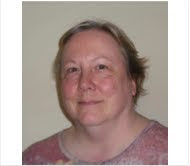 We look forward to her joining the team in a formal capacity! We just loved her take on the skating Kritter electronic image, and we hope you will, too. We thank all of the people who applied for the team. We want you to know that we enjoyed each and every submission, and that it was a tough decision for us. But we are really sure we have made great choices and think you will agree as we move into the new year! Today's sketch is for a card with a circle and a border element. I have tons of border punches and circle dies and find I seldom use them. I thought this sketch might get me to pull some of them out. I hope it does the same for you! 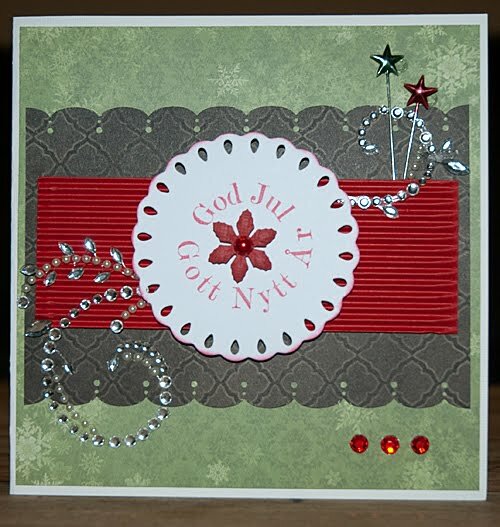 Design team member Sharon Jeffs used this layout to make a card for you. I hope you will enjoy it! And I made a card, too. Unfortunately, this photo doesn't show the shimmer on the whole card from the shimmer mist I used on it...it really is a wonderful effect that gives the whole card the look of snow in sunlight. FranticStampersSketchPhotos@yahoo.com and I will try to upload it to the blog as soon as I can! Debi has had to step down from our team for personal reasons, but before she left she did provide us with some wonderful cards, one of which I would like to share with you today. 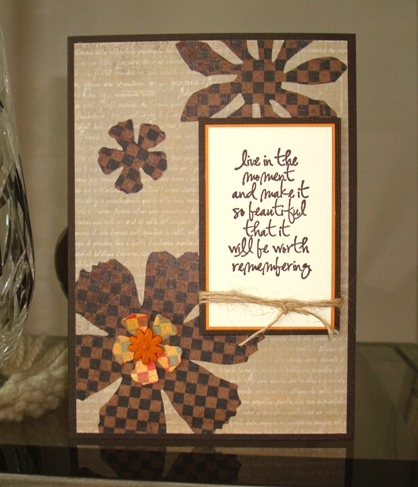 This card is made with Basic Grey Jovial patterned papers and a gorgeous stamp from Impression Obsession. The tree is stamped with Versamark ink, embossed with red tinsel embossing powder, and finally embellished with gold Stickles. Gold glitter brads finish off the project with just the right amount of glitz. We all hope you are making good progress on your holiday cards (Christmas, Hanukah, Kwanza, New Years, etc.) We are all spending a good part of this weekend making ours. Happy Thanksgiving to all our readers in the US! Today we have a couple of videos from Hero Arts that we thought would be perfect for the winter holidays. We hope you will enjoy them. I know I will be making cards in my spare time today, and for the rest of the weekend. Got to get those holiday cards ready to mail! Up first is using Stazon metallic silver ink on transparencies making some beautiful decorative and unique embellishments that could also be used as ornaments. Next we have a wonderful Christmas tree made from buttons. Hope you will enjoy it! 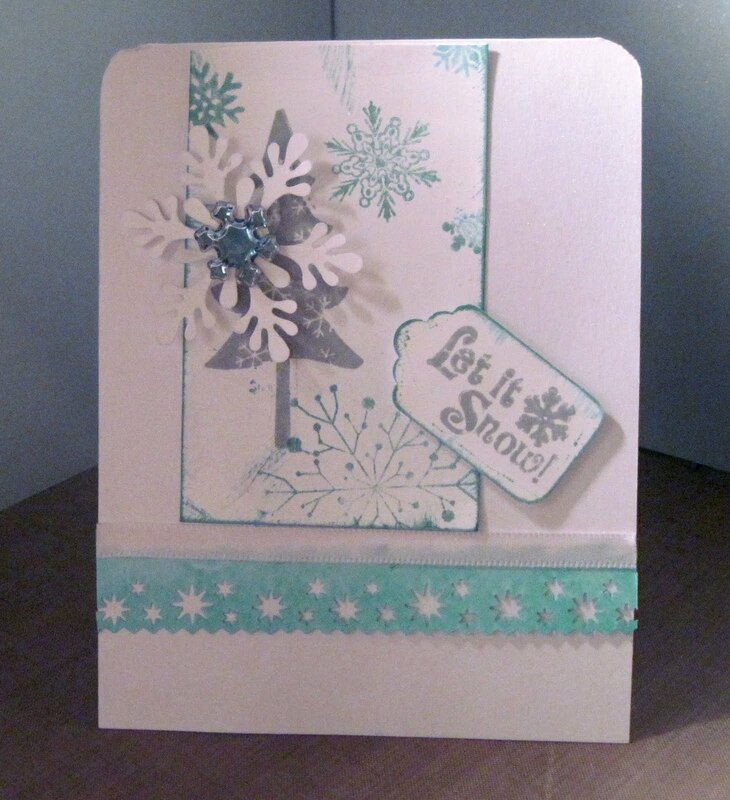 And lastly we have a fun snowman card made without seasonal stamp images. Our second FranticStamper Design Team Call has come to a close! We got a lot of wonderful applications and are busy sorting them and getting them ready for the selection team to access. The next step will be to evaluate them based on several criteria (uniqueness, adherence to directions, quality of photos, quality of projects, use of materials, and then quality of written materials in both the application essay and the applicant's blog). We will narrow the applications down to a group of finalists, and then make our final decision. We hope to have offers out to the selected applicants as soon as possible, and then to make an announcement of the new team shortly after that. The whole elimination process, though, is going to be tough to do because there were just so many really great samples submitted! We would like to thank ALL of you who submitted samples and applications. We were thrilled with the response! Today we have a few tips for helping with that crafting budget. We know they can be a little tight, especially this time of year! 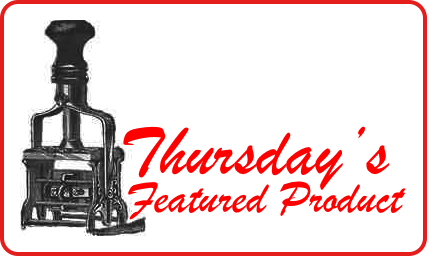 If you are looking for a great deal on stamping consider trading with fellow stampers. Have a swap meet. What maybe one’s trash may be another’s treasure. When setting your monthly budget have an entry for stamping supplies. This will help you not to overspend on craft supplies by using a credit card. If you find your budget to constrictive start putting all your spare change in a jar. Before you know it you will have extra money to shop with. Watch for inexpensive acrylic paints to be on sale. Cheap acrylic paint can be used on mixed media, altered art, and collage projects. Make envelopes from wrapping paper, wallpaper, magazine pages, and old maps. 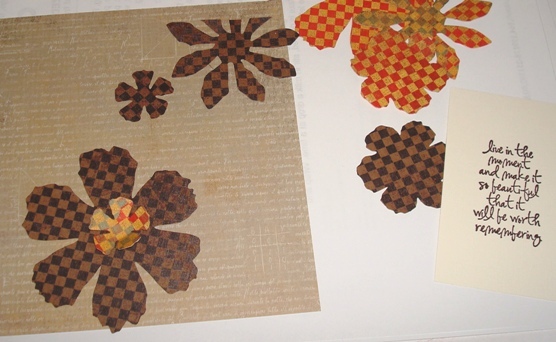 Paper bags, wallpaper, scrap paper, and parts of old greeting cards can be used to make cards. Cut images from magazines, wallpaper, and fabric to use on cards and collages. It can change the entire look of the cards and collages. Use a 5”X8” unlined index card and fold in half for an inexpensive card. Invitation envelopes are the right size for the folded card. Note: these are not acid free or archival!! Buy inexpensive boxed cards at the Dollar store and "craft" them up by adding embellishments, glitter, and stamped elements. These cards are great for when you need a quick card. Hope these tips are useful to you and to your wallet! FINAL CALL: Design Team Call Deadline TONIGHT! How to do you apply? Your first initial and last name in the subject line of the email. Your name, address, blog address, and email address in the body of the email. 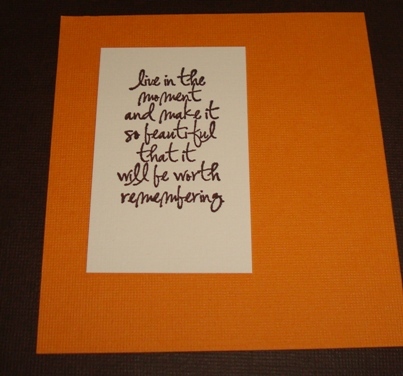 Please make sure you are doing the kind of work you plan to do for FranticStamper each month when you make this card. If you spend 40 hours on this sample and you won't have 40 hours to spend on the cards you make as a design team member, the team will suffer! What will you get as a team member? The chance to work as part of a great team for a great store! What do you have to do as a team member? Participate in a FranticStamper blog hop (with an item made with a FranticStamper image and other products available at FranticStamper.) FranticStamper will provide blog candy. If this sounds like something for you, get stamping and send us your application before the deadline (TONIGHT, at midnight, PST.) Team members will be announced on or before January 1, 2012. The first quarterly mailing will occur in early January 2012. Today I have a sketch for a long card intended to go into a business-sized envelope... perfect for inclusion with a printed holiday newsletter. Unfortunately, though, I haven't gotten to my stamping table in days so I haven't made a card yet. I hope to be able to get to one later today, and if I do, I'll be sure to add it to this post. You, too, can have your card added to the blog! To do so, simply send a photo of it to FranticStamperSketchPhoto@yahoo.com and I will upload and share it! 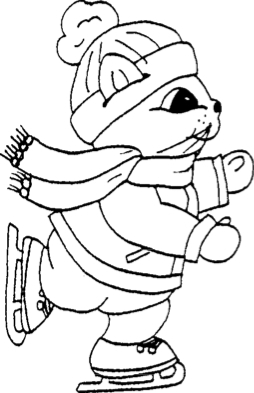 Blog reader Jane Larsson made a WONDERFUL card with this sketch and is allowing me to share it with you! Isn't it great?? I really love it! And I would LOVE it if YOU would send a photo of a card so I could share it, too! It is getting to be time for finishing up and mailing holiday greetings to family and friends near and far. This season is one of my favorites as I get to send a piece of my heart to those I love by sending a card I have made with love. 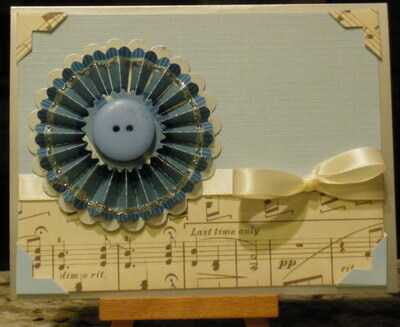 This card uses silver glossy card-stock, blue glitter card-stock, and music-patterned card-stock to create a simple and elegant card. 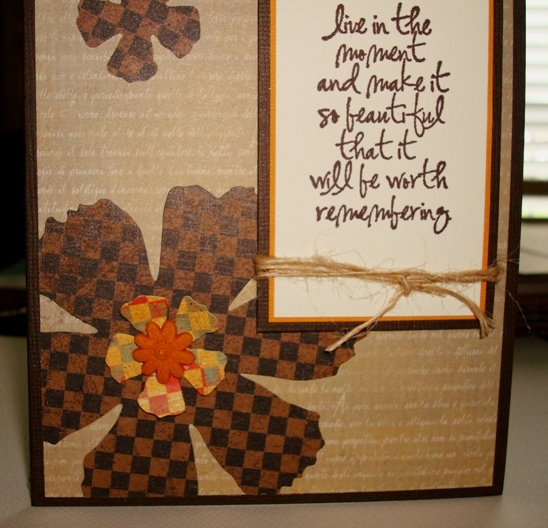 The rosette is made using the Tim Holtz rosette die. I used a line of silver Stickles on my strip of paper before folding it into the rosette to give that pretty touch bling. 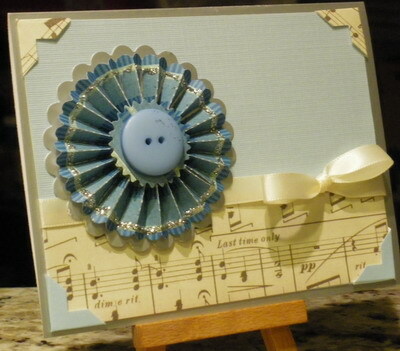 Notice that I placed the rosette on a silver die-cut scalloped circle just a little larger than the rosette to frame it. 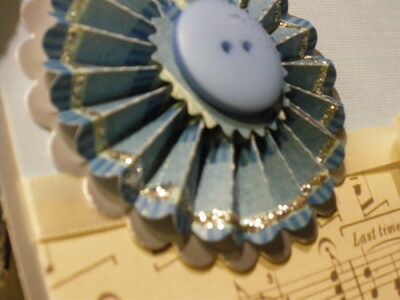 And I added a bow whose tails wrap around the card to finish things off in an elegant way. It is lovely, don't you agree? Today we have some heat embossing videos from Stampendous to share with you. First up is a basic embossing video, sharing how to heat emboss. Next we have a couple of videos on a "painting" with embossing powder techniques. These are really unique and can be quite beautiful! And last, we have a wonderful video of embossing on glass. Think of all the wonderful personalized gifts you could make using this technique! 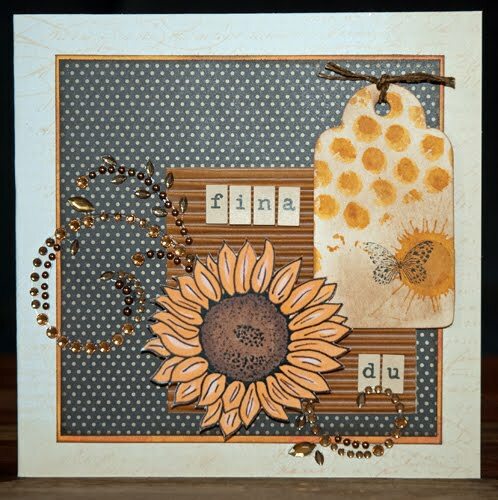 Be sure to check out all the great products by Stampendous, including cling-mount stamps and embossing powders, available at Frantic Stamper! Warehouse Wednesday: Design Team Call Deadline Approaching! If this sounds like something for you, get stamping and send us your application before the deadline (November 20, 2011, at midnight, PST.) Team members will be announced on or before January 1, 2012. The first quarterly mailing will occur in early January 2012. 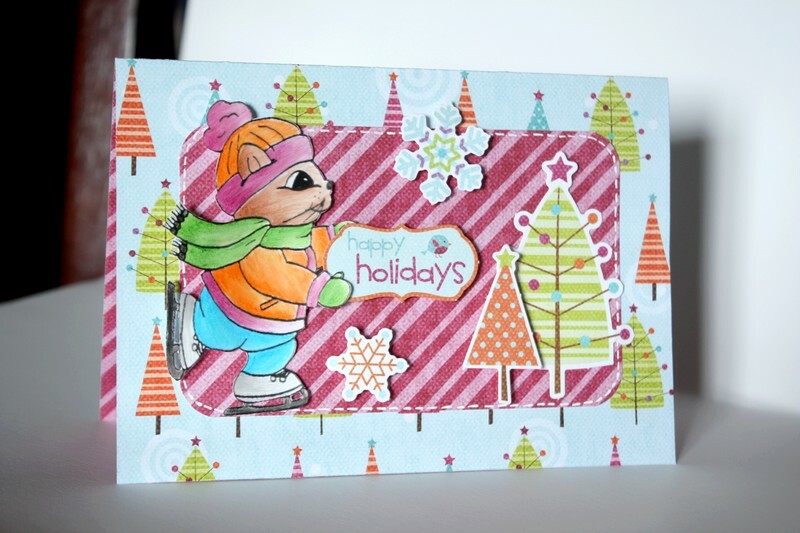 We would like to share some tips for those cards you might be making and mailing this holiday season. When mass-producing and mass-mailing, there are a few things we like to do to make things a little easier and a little less expensive. Hope there will be something in these tips that you find useful. To save money when mailing it helps to keep the card as light and as flat as possible. Here are a few ways we accomplish that. Use lighter-weight papers for layering. 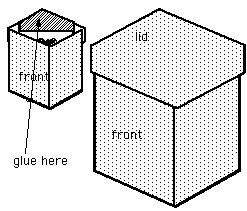 Layers of card stock add weight and bulk, both of which will cost you when it comes to postage. 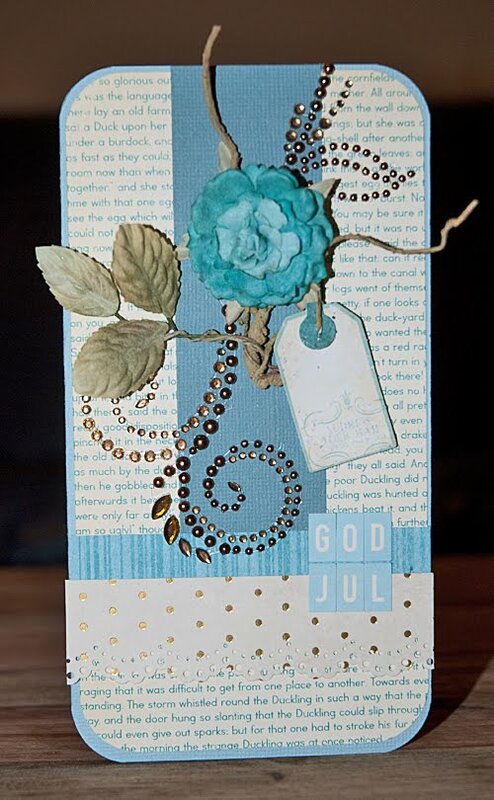 Use faux-buttons, punched or die cut from card-stock or thin chipboard, instead of the real thing. They are lighter and thinner...saving on bulk and weight. Instead of using a layer of card stock under another layer, consider using a faux layer made by coloring a frame for the top layer (either on the top layer or the layer below it). If you must layer card stock for your layers, consider cutting out the center part of a middle layer to reduce the weight of the total card. Doing this carefully also adds a bonus of a scrap of card stock to use on something else! Consider adding glitter or glitter glue instead of rhinestones (less bulk) to add bling to your project. 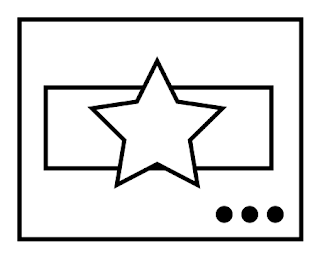 Rectangular cards can be mailed for less than square cards. Consider that when you create your design. If you must make square cards, consider mailing them in rectangular envelopes. And here are a few of our favorite tips for getting those holiday cards done in a jiffy. Always complete a prototype card before cutting parts for multiple cards. Measure as you go along and write down those measurements so you can be sure to be able to replicate the card. Stick to simple measurements as much as you possibly can! And a simpler card design is really best, too! Make sure you have all the materials for the number of cards you plan to make before you start cutting, and make sure you have some SPARE materials for those inevitable mistakes! Cut ALL of the pieces you will need of one size before cutting another size. It will prevent confusion, and is faster! Stamp all copies of one image before moving on and stamping another image. Much faster than alternating! Once all materials have been cut, stamped, and colored, lay out as many copies of the card as you can fit on your stamping table. Attach layers to the cards in an assembly line manner... doing the first layer on all of the laid out cards first, then the second layer, etc., as opposed to fully assembling one card, then moving on to the next card. It is quicker and less error-prone! 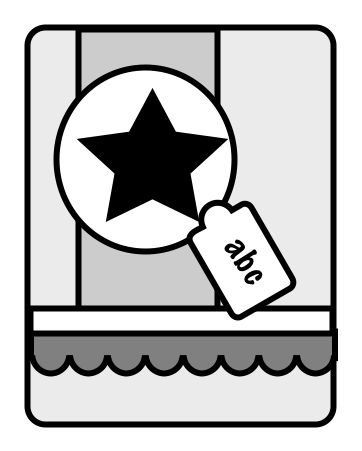 Tip # 6 Mailing labels do make addressing the cards much quicker. If you insist on hand-addressing them, then address all the envelopes first, prior to inserting the signed cards. And sign all the cards at once, too. You will find it a lot faster than signing one card, inserting it, and addressing that one envelope. Repetition of a single task is quicker and less error prone! We hope you will find our tips helpful. Now we are all off to make our holiday cards and get them in the mail! 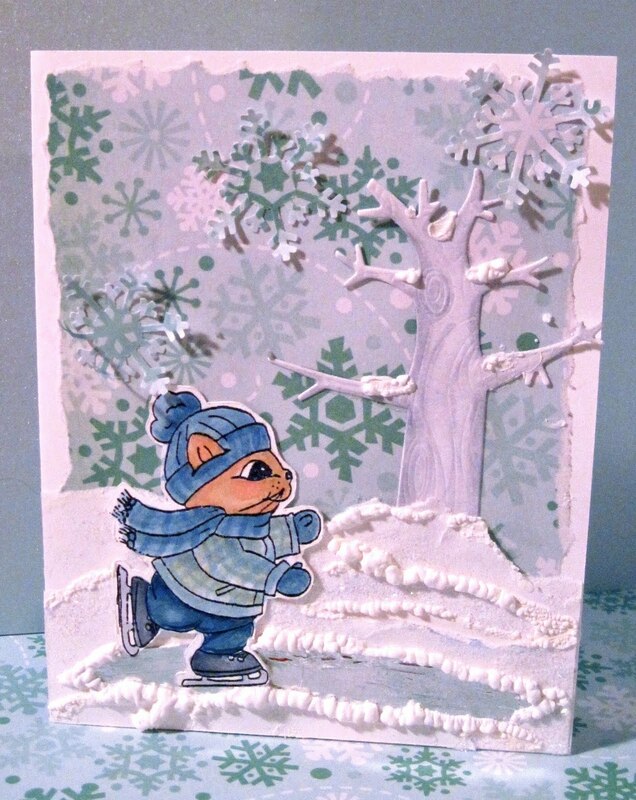 Here is a wonderful card made by blog reader Jane Larsson! 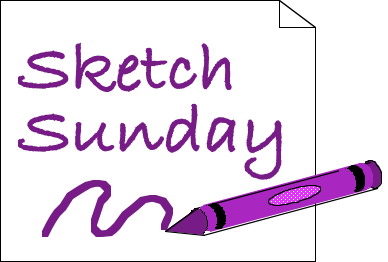 If you, too, would like to share a photo of a card you've made, simply email it to FranticStamperSketchPhotos@yahoo.com and we will try to upload it to the blog or share it on Facebook. Something Special Saturday: Are you getting ready? We have a design team call out and are really looking forward to choosing the new stampers/scrappers/crafters who will represent Frantic Stamper for the next year on our Blog and on social media! Don't be left out of a chance of a lifetime! The rewards are great; some are tangible like the quarterly packages of goodies and the store discounts, while others are intangible, like working with other wonderful designers and having the chance to have your work displayed throughout the year. Check out the details of what is required for an application, as well as what the year's team membership will encompass. You can find all the details here. I personally love the colors on this card. I find fall and neutral colors very pleasing to the eye. Just because the colors are less vibrant doesn’t mean the card has to end up looking that way. 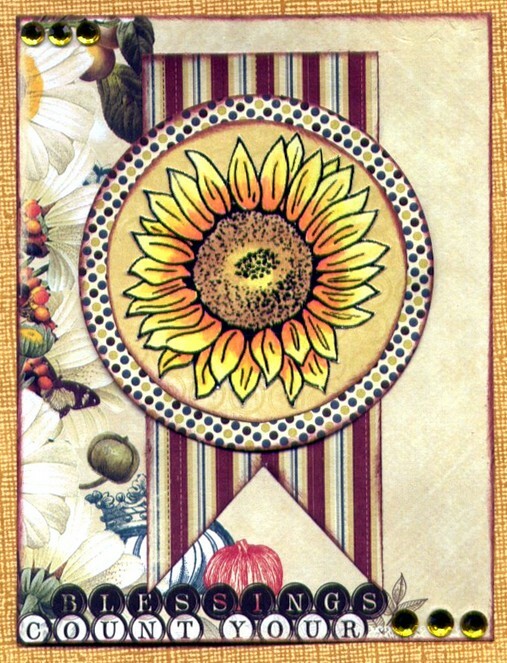 This card uses neutrals with a blend of patterns (and a pop of color) to make it come alive. 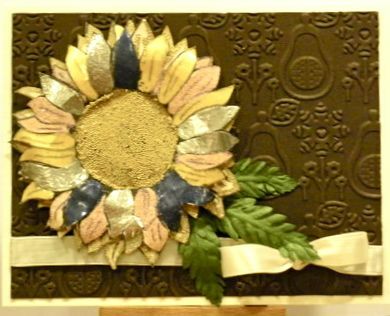 I used a Kraft card and papers from Basic Grey, some Bazzill in brown and orange, Tim Holtz's Tattered Florals die, and a bit of natural twine to make my autumn card, which is a little bigger than the standard quarter-fold card at 4 1/2" x 6". Here are some photos of the steps along the way to a finished card. I hope you enjoy the card as much as I enjoyed making it! It seems impossible that anyone hasn't seen or heard of the fabulous new scrapbooking craze known as "Smash." This line of products takes scrapbooking back to its roots while making it modern and totally fun at the same time. 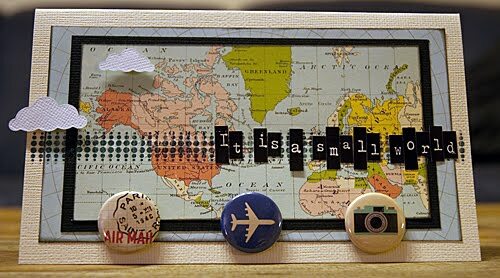 Check out a little bit of this scrapbooking phenomenon. So... which Smash is YOU? No matter which one suits you, FranticStamper has it and all the great accessories to go with it. Get Smashing! Warehouse Wednesday: Design Team Call in Progress! FranticStamper is STILL looking for a few good stampers, like you! We are going to be putting together our next design team, and we would love for you to apply. We hope you are busily prepping your application, because we would love to have YOU on our team! If this sounds like something for you, get stamping and send us your application before November 20, 2011, at midnight, PST. 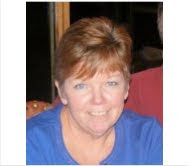 Team members will be announced on or before January 1, 2012. The first quarterly mailing will occur in early January 2012. 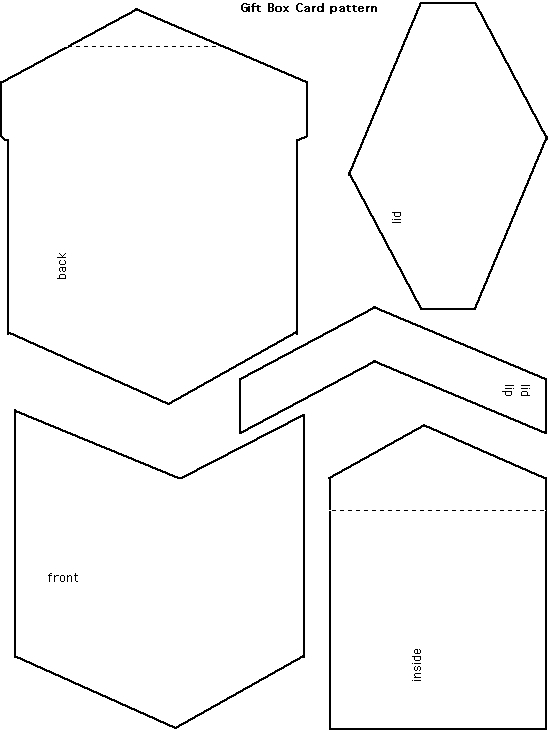 Cut the pattern out of sturdy cardstock on solid lines. Score along dotted lines. 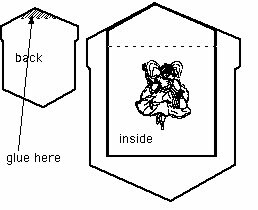 Stamp the inside image on the inside panel, below the score line. Mountain fold both the inside and back panels on the score lines. 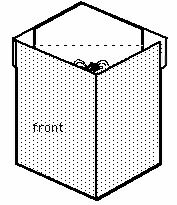 Draw a line down the front of the front panel to simulate the box's corner. 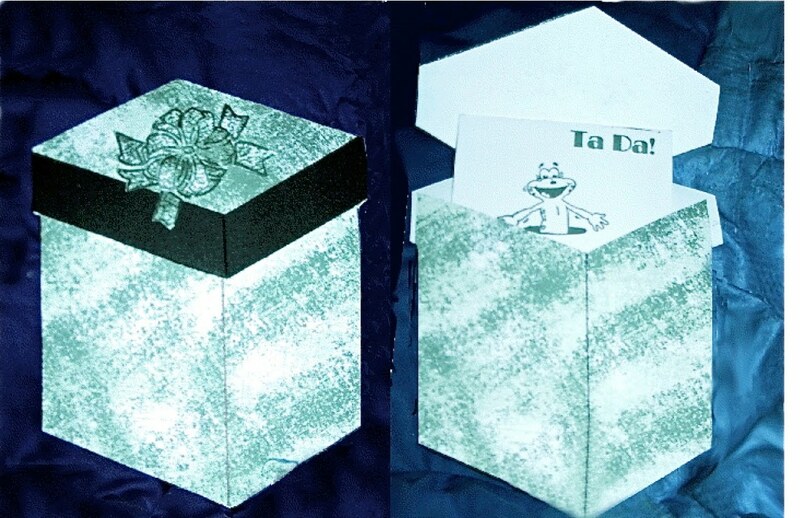 Attach the front of the card with strong tape or glue, just along the left, right, and bottom edges. 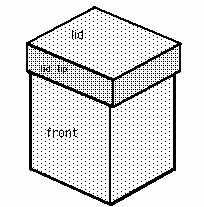 Attach lid to the trapezoidal part of inside panel that lies between the top edge and the fold line. Adhere the lid lip to the lid. Embellish the package with ribbons, bows, gift tags, etc.